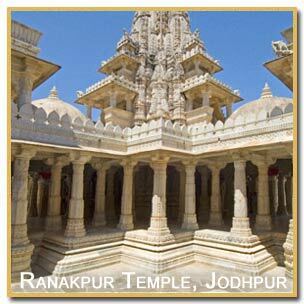 Ranakpur is named after Rana Kumbha whom Dharna Sah, a Jain businessman, approached when he had the vision of his great temple to ask for the land for its construction. 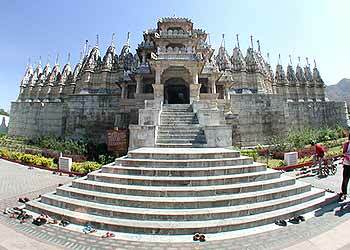 Renowned for some marvelously carved Jain temples in amber stone, Ranakpur is amongst the five holiest places of the Jain community and exceptional in beauty. These temples were constructed in the AD 1439. It is located in the mountain ranges of Pali district, 39 kms. away from the Phalna railway station. Ranakpur is reached after passing lush green valleys and streams and the heart capturing views drive away any fatigue of the journey. 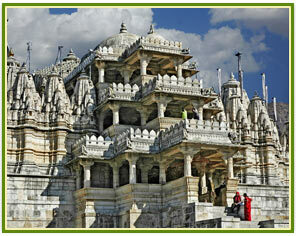 The Ranakpur Jain Temple were built during the reign of the liberal and gifted monarch Rana Kumbha in the 15th century. An enormous basement covers 48,000 sq. feet area. There are four subsidiary shrines, twenty four pillared halls and eligibly domes supported by over four hundred columns. The total number of columns is 1,444 all of which are intricately carved no two being alike. The artistically carved nymphs playing the flute in various dance postures at a height of 45 feet are an engrossing sight. In the assembly hall, there are two big bells weighing 108 kgs. whose sound echoes in the entire complex. Ajmer to Mt. Abu route, 39 kms. from Phalna. 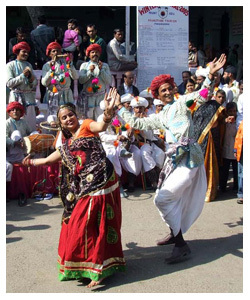 Luxury Rajasthan Travel, is home to travel tour details about Ranakpur, located in Rajasthan, North India and a travel tour undertaken to discover the true nature of Ranakpur as a travel destination, located in Rajasthan, North India, is something which can serve as a good source of information about Ranakpur in Rajasthan, North India. Luxury Rajasthan Travel, carries the tourist onwards a journey of discovery into the rough and tumble of Ranakpur, situated in Rajasthan, North India. 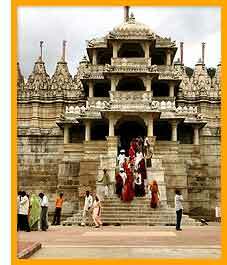 A travel tour to Ranakpur, located in Rajasthan, North India, is an ideal conduit through which to find out the status of a Jain pilgrimage, which Ranakpur, situated in Rajasthan, North India, enjoys in India. The grand Chaumukh temple with four faces pointing in different directions is one instance where in it boasts of 29 halls with the accompanying 1,444 pillars acting as chief artifacts to be studied and admired. The quality of the temple lies in the fact that no two pillars are similar in design and pattern with the patterns and carvings on all the pillars being different from each other. 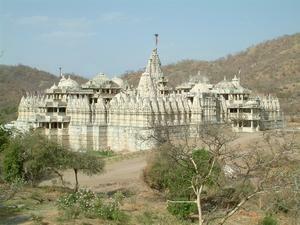 Ranakpur, as a piece of information is located on the Udaipur Jodhpur highway. Ranakpur, located in Rajasthan, North India, is home to the wildlife wealth of the order of wild pigs, deers, panthers, jackals, etc with the last two animal species imparting a wild and rustic hue to the place we have learnt to know and recognize as Ranakpur, Rajasthan, North India. Luxury Rajasthan Travel, is home to travel tour bookings and offers of travel packages to Ranakpur, situated in Rajasthan, North India. If need arises for additional information and hotel rooms need to be booked in the town, then one has to fill up the form given below.